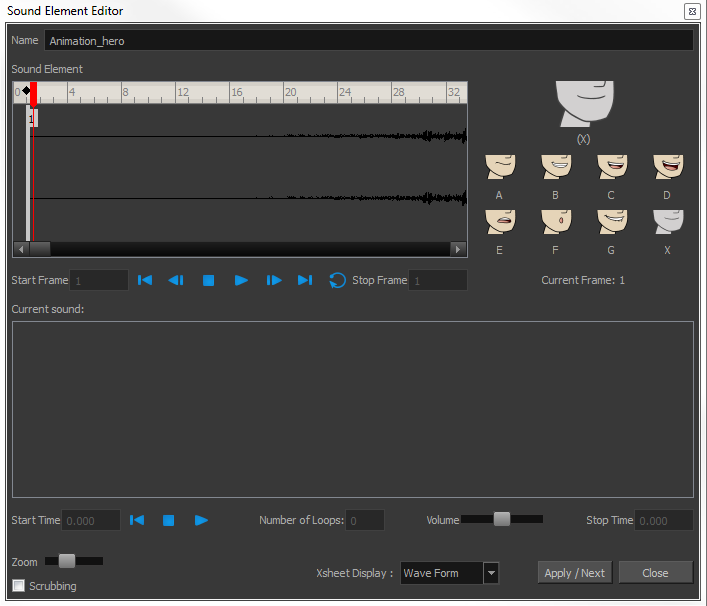 ‣ Sound Element: The waveform in the Sound Element Editor is the actual sample that will be heard when the final movie is rendered. It may be shorter than the original sound sample due to the length of the scene. If any edits are made to the sound sample, they can be heard here. In the Sound Element panel, notice the coloured tabs that indicate the start and end frames of a sound segment. The frame number is displayed in the tab. ‣ Current Sound: Displays the original sound file in its entirety and is where you can edit its properties. This window remains empty until you click inside the Sound Element Editor. 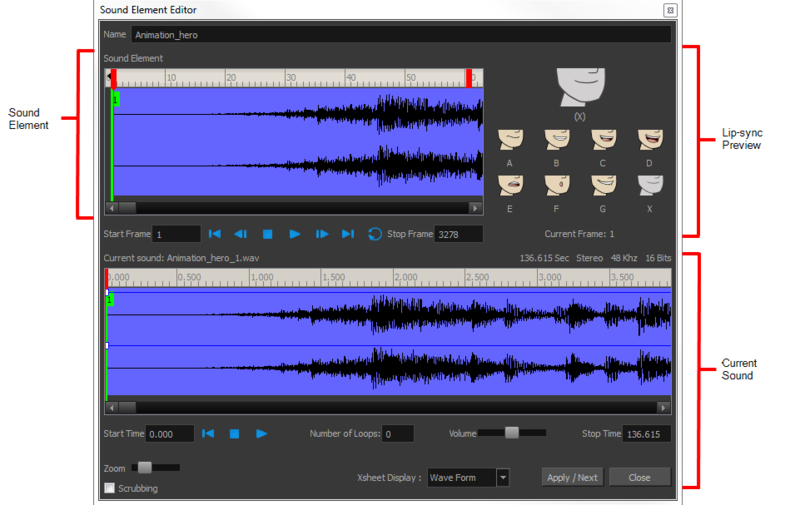 ‣ Lip-sync Preview: Lets you preview the automated detection and to manually insert different mouth positions to correspond with the sound sample.